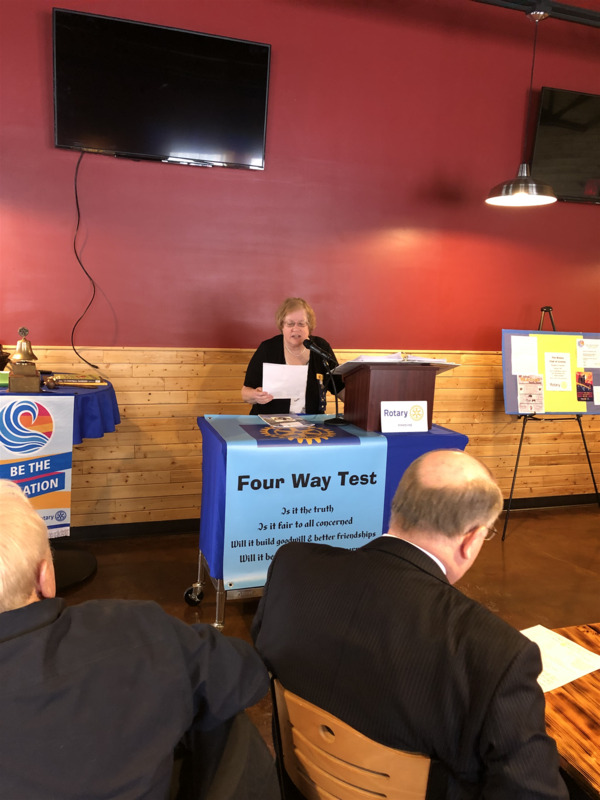 Sue Kowalski told somethings about the Canton Rotary Club, including a big scholarship, tree-planting and two hydration stations in Heritage Park, and the Ghana School Project. She invited our Club in March or April over to the Canton Club’s proposed new location, LA Bistro. Dave Cash introduced his and President Dave’s mutual friend, Tom Habitz, recently retired from Glen Eden Memorial Park on Eight Mile Road in Livonia. Tom, a Valparaiso University (go brown & gold Valpo!!) and Wayne State U. Mortuary graduate, was a funeral director for 28 years and then 20 years at Glen Eden (G.E.) as CEO & General Manager. He has served as the President of the Michigan Cemetery Association. Glen Eden Memorial Park was originally founded by Lutherans in 1929 and now has two locations, in Livonia and Macomb. G.E. does around 650 services/year. It is a full-service cemetery with a staff of great longevity. In 1959, the U.S. government came up with new regulations regarding cemeteries and memorial parks. Hence G.E. is a 501c13, religious non-profit cemetery. For all Christian faiths, 25% of interments are actually now Roman Catholic. G.E.’s percentages of services are: 55% traditional casket burials, 35% cremations, and 10% mausoleum entombments. Tom sensitively raised the question: Why do we have funerals? They are for the living, even though it’s about one who has died. Funerals/burials/entombments provide closure for family and friends. At the funeral home and/or church, one comes face-to-face with the reality of death, and the healing process begins. Funerals make for a healthier grieving process. He urged pre-arrangements and noted how cemeteries and memorial parks provide a place of comfort and for expressing one’s grief in the loss of a loved one, a place of reverence, a homeland of history and sanctuary of peace and quiet. He noted that in this business one deals heavily with emotions and very tender feelings. 15% of G.E. sales go into the G.E. Endowment Fund to continue to beautifully maintain the 140-acre memorial park. It has land to be developed at current rates for another 100 years. Dave Cash spoke some very kind words in praise of Tom, who gave us a G.E. brochure. Tom’s worthy successor is 35-year G.E. veteran, Tom Zitterman. The Canton Rotary Club extends their thanks to the Livonia Rotary Club for hosting its members today. 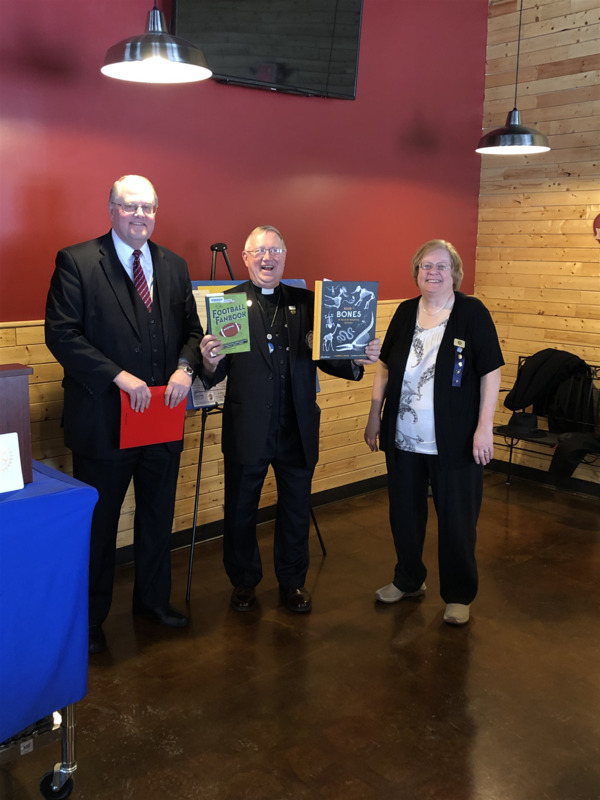 The Canton Club is looking forward to hosting the Livonia Club, probably on March 25, 2019. Thanks Livonia Rotarians!